My child, you’ve grown, you look so much like your father, do you remember me? At Harvard, many of my undergraduate African friends say similar things about home. We talk about the laughter of our endless cousins, who, when we visited them, suddenly became our brothers and sisters, evidenced by the packed stacking of us onto the few beds in our houses. When we woke up, the sun would shine heavy on our backs as we played games with balls made from plastic shopping bags because our football was deflated by a thorn-tree. And then we’d be tossed into the back of pick-up trucks and jostled through a dusty road to our other home village, this time maybe our mother’s instead of our father’s, to look into the faces of more aunts, uncles, and grandparents. It would sometimes be years since we last saw them, and, always, they’d tell us which parent we looked like and ask if we remembered them. From so far and so long, their voices stay with us. At parties, white Americans ask me where I’m from and when I tell them, they say, Oh! that’s so cool my family and I went to Africa two years ago to go see the... and I wonder, Which country? I am bored of living in reaction to how others look at me, but I’ve been here for two years and I can certainly feign amusement for two more. So, I laugh and tell them that my home country has a smaller population than New York City and our main exports are diamonds and cattle and we’re about the same land size as Texas or France and that our people are fairly homogeneous and tend to be much nicer there than here. I imagine what my friends might say. Angela might speak of Rwanda’s astounding economic recovery from the 1994 genocide and she might respond with some defensiveness if asked about her president who finessed his way into a third term in power. It will be noticed that she is incredibly funny and resilient and is likely to become the kind of person who ends up running the world in some capacity. Mfundo would probably joke about the differences in social-justice politics between African Americans and black South Africans. Some will walk home from these parties thinking that he is the most charismatic person they’ve ever met and will long remember his intimate knowledge of black power. Tom will announce that he’s the prince of Wakanda and a few people will believe him. (The first weeks of our freshman year were a good, sweet time; then Black Panther came to cinemas.) And then, a few months later, Tom will casually fly to Germany to do a TED Talk about his green-energy start-up back in Kenya. I tell him about the best approximations of Mama’s beef stew I can find on campus. 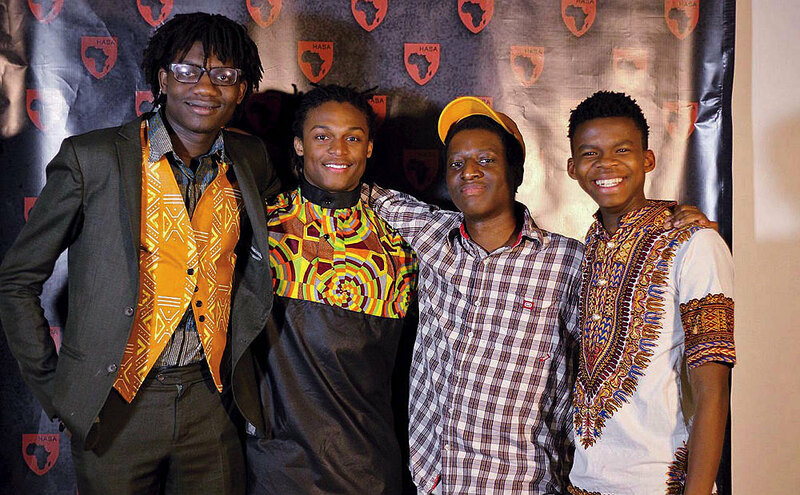 The Harvard African Students Association hosts two events each year, called Fall Feast and Africa Night. It does not strike me as an exaggeration to say that all of us might perish without these endless platters of foods spanning the Continent. It’s hard to say where and when their flavors begin and end, but our faces with their chomping gleams are description enough. I think the Ethiopian food is best, since the stews taste so close to those of my own home. Inevitably on these occasions, a Ghanaian and a Nigerian will throw—friendly?—insults concerning the ongoing Jollof Rice War, which has no winner in sight, plus no one outside of West Africa can seriously tell the difference except to say that we are pleased that our mouths are so full and good. Food is a fun thing to talk about on the phone. Otherwise, there are negotiations to be had. I explain again what the American liberal-arts education system entails and why I can’t take a whole semester of science classes exclusively, and also why I cannot graduate with an undergraduate degree in law, medicine, or business. I deal with money again, because the American dollar is 10 times or 50 times or whatever absurd amount times more powerful than my own currency and I need financial-aid statements sorted out again and does anyone understand how to fill out these bloody tax forms? I say that I’m doing fine and that it is cold. We then hug each other with our voices and drop the phone. For me, the difficult thing about coming to Harvard is that I was raised to be a Motswana man. My culture tells me that the greatest thing you can ever do is to take care of your family. But here, there is the deep, dark thing that happens when you grab a bunch of young, ambitious, and nervous people and stuff them into a place like this. People end up not really caring about one another. The fact that it is so cliché to say this implies the embarrassing plainness of its truth: we’ll pick a work deadline over a friend; we’ll find soft, smart ways of screwing people out of the leadership position that might get us a high-profile job after graduation; we’ll pick who we think is worth talking to based on what they do and the people they hang around with. This is the simple story of Harvard. The larger story includes the innumerable things I am happy and grateful for, but the simple story remains at its center. The simple story of being African is that we were taught to take care of each other. On the night of this year’s Yardfest, one of us had a violent interaction with the police and ended up in the hospital. We heard about it the next morning, hazy, hungover, and hurt. It would not have been so violent if the student had not been black. It would not have been so legally fearful if the student had not been African. The black and African undergraduates were disappointed, but not surprised. This is America—even if filtered through Harvard. A night later, a group of African sophomores surprise my friend from South Africa with a birthday wine-and-chill in his room, but the night doubles up as a way of trying to make sense of it all, together. The night is good. It reminds me of home. It reminds me of my family. It reminds me of the need to take care of each other. There is so much noise here at this small birthday party, and it is not the inexplicable Nigerian music, which, for reasons beyond my understanding, will always be played at our large gatherings. The noise is our laughter, so thick and gorgeous that we worry that the proctor of the DeWolfe dorms will come knock on the door to complain. How are we so happy? These voices will stay with us. Years from now, after earning our degrees, we will somehow find each other again, and we will hold each other’s hands and look into each other’s faces and ask if we remember us. And then we will laugh like we are laughing now. This loud, terrible laughter that carries across oceans, whispering, Take care of each other. Berta Greenwald Ledecky Undergraduate Fellow Tawanda Mulalu ’20 has grown—and looks like his father.